Boston Coffee Cake 48 oz. Boston Coffee Cake 24 oz. 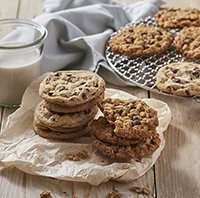 From Mixes & Bases to frozen ready-to-bake muffin batters and cookie dough, we have the expertly formulated products for your fresh baked clean label items. Our Kitchen Cupboard™ contain: NO bleached flour, NO artificial flavors, NO artificial certified colors, NO high-intensity sweeteners, NO high fructose corn syrup, NO artificial preservatives, NO aluminum phosphates, NO partially hydrogenated oils, NO modified starches and NO artificial trans fats… Just wholesome, natural ingredients you would find in your own kitchen cupboards! 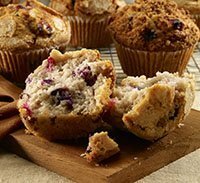 Our PanFree® loaves were developed to be as moist and flavorful as our prized predeposited muffins, chock full of fruits and nuts and blended with perfectly-balanced flavors and spices. If you’re looking for cornbread options, we have it all from PanFree® quarter sheets to scoop batters. We make it easy to whip up a batch in no time! 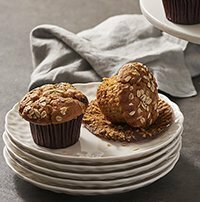 Our scoop and bake batters are specifically formulated to produce moist and flavorful muffins and cakes with excellent volume and superior eye appeal. 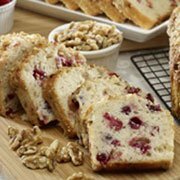 Our batters are trans fat free and are loaded with fruits, nuts and delicious flavor. Our extra moist formula allows for excellent shelf life. 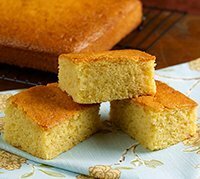 Cornbread can be served simply plain or loaded with complimentary seasonal fruits or savory vegetables. 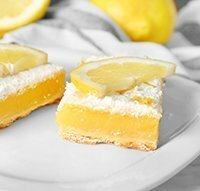 Whether you are using our mixes, scoop and bake batters, or our PanFreeCornbreads, whatever your operation, we have the perfect item for you. Choose cookie mixes to create your own signature cookie treats, or easily scoop batters for drop or bar cookies. Offer decadently-rich brownies and pastries with our mixes or choose the utmost convenience with our thaw and bake pastries and thaw and serve cupcakes. Using our cookie and brownie mixes, you can vary the add-ins for a large selection of homemade specialty cookies and brownies your customers won’t be able to resist. Kitchen Cupboard Clean Label Vegan products contain the same high quality ingredients and superb taste you expect, and are made without the use of animal products to satisfy the culinary needs of the vegan community. All Bake’n Joy Mixes are blends of carefully formulated ingredients designed to let you make products as if you were baking from scratch with consistently superior results time after time. Only top quality ingredients go into each bag. 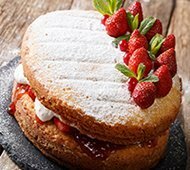 From smooth, rich crèmes to sweet, tangy fruits, we have fillings to meet all your baking needs. Fruit and creme donut fillings have an easy flowing consistency to make filling donuts and pastries by hand or machine a snap; bakeable pie fillings and multi-purpose fillings are ideal for pies, Danish, pastries, turnovers, squares, and other creations and are available in a variety of textures to meet all your filling and topping needs. Our topping and finishing products are carefully formulated for consistent performance. An artfully finished product practically sells itself. 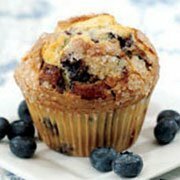 Add eye appeal and extra value to all your bakery items with our fine toppings, icings and spreads.